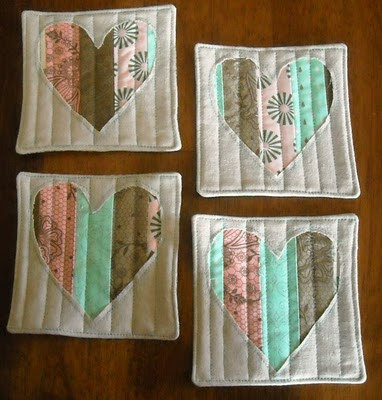 My tutorial for these heart coasters is posted on the Sew, Mama, Sew blog today! Go check it out! Fab tutorial, I just made one, thanks so much! Oh, I love these coasters! I'm just learning to quilt and am getting ready to practice by making some pot holders and oven mitts. These are darling : ). Woot! Congratulations! These look great, and I hope some new folks drop by from SMS today! Love these, I need to head over to your Tutorial and make some of these!! After I finish the P.J's that my sewing machine keeps trying to eat!!!!!! I saw it over there! Looks great! 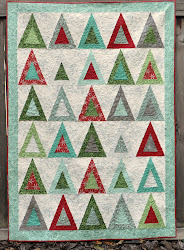 I'm going to do some reverse applique on my bee block for this month! congrats vicki! have a great weekend. Just made another one of these if you'd like to take a look it will be on my blog tomorrow. Thanks so much!